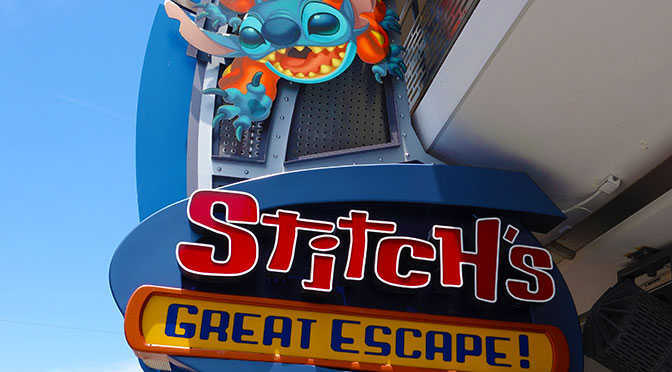 The Stitch’s Great Escape attraction in Walt Disney World’s Magic Kingdom will close permanently after this final seasonal opening. The attraction will open from December 23, 2017 through January 6, 2018, then close forever. Disney has not officially confirmed the permanent closure, but it is expected to occur very soon. Disney is expected to announce a new attraction for the space. The outer lobby area has been used as a meet and greet space for Stitch for a few months. Stitch will move back to his former location near Space Mountain during Christmas break. No word on the future of his meet and greet beyond early January 2018. Many online prognosticators have felt that the attraction will be replaced by one themed to the Wreck-it Ralph movie franchise which is set to release a new movie March 2018. Many guests despised the chili dog burp in your face attraction, but my son loved the attraction as a child. He was a huge Stitch fan. What are your thoughts on this upcoming closure? Bring back alien encounter. That was the best! We can always dream, right? It was very intense, but it was much more fun. Same here! It was a great attraction and always busy. I’ve always loved Stitch’s Great Escape, as I’ve always been a big fan of Lilo and Stitch. I’m sad to see the ride go. Really hoping we do get something Wreck-it Ralph themed in its place. I’ll keep http://www.characterlocator.com updated for you. If he is still out, he will be on there. Sad to see it go, but PLEASE FOR THE LOVE OF GOD, I want an original concept ride!!! NO MORE OF THIS IP CRAP!!! Not too many original concept rides being created these days. Hated that ride. Hurt my clavicle bones when that thing came slamming down. Kenny , do you know if the ride will be operating during extra magic hours ? I’m glad that Stitch’s Greatest Escape is going away. I would like Big Hero 6 attraction in Tomorrowland. Didn’t care for it the one time I did it but if they are going to do away with it I hope they truly redesign the whole attraction and not just change some things up like they did when it went from Alien Encounter to Stitch. My sons both loved it, but my husband, daughter, and I were less than impressed. I hope that it’s reimagined as a Wreck-it Ralph attraction. My kids would love that!! Bummed we will never get the chance to see it!